Cocktails are crowd pleasers at Agustin in downtown Tucson. Photo by Gabriel Flores. It was 115 degrees in Phoenix as we packed up the car for the drive to Tucson. My husband and I were getting out of town with some friends to celebrate my 30-something birthday in the city where we’d spent most of our younger years. Halfway down the highway, clouds started rolling in and the temperature dropped back under the triple-digit mark, providing the kind of relief that only desert dwellers can appreciate. But we didn’t choose Tucson for the weekend because of its weather — we were there to explore its newly invigorated city center. 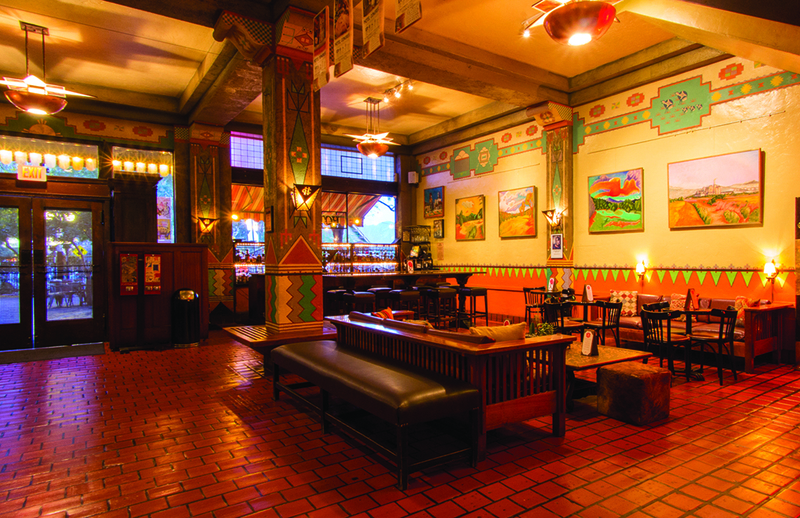 Downtown Tucson is rich with history, flanked by neighborhoods that date back to the 1700s. Pulling off the freeway, my husband and I find ourselves playing tour guide for our friends, explaining the different barrios and the few facts we know about the city’s past. As we drive through the narrow, cactus-lined streets, we slow to a snail’s pace, trying to get a peek inside the colorful adobe rowhouses. Tucson’s oldest neighborhoods, Barrio Viejo and El Presidio, have a sense of history that you just can’t find in Arizona’s capital to the north. While Tucson had been inhabited by the Hohokam Native Americans for thousands of years, the city as we know it was founded in 1775, when the Spanish army built a fortress for protection from Apache attacks. With the Southern Pacific Railroad’s arrival in 1880, Tucson’s multicultural roots grew as new residents moved into historically Mexican neighborhoods, and areas like Barrio Viejo became hubs for community and commerce. 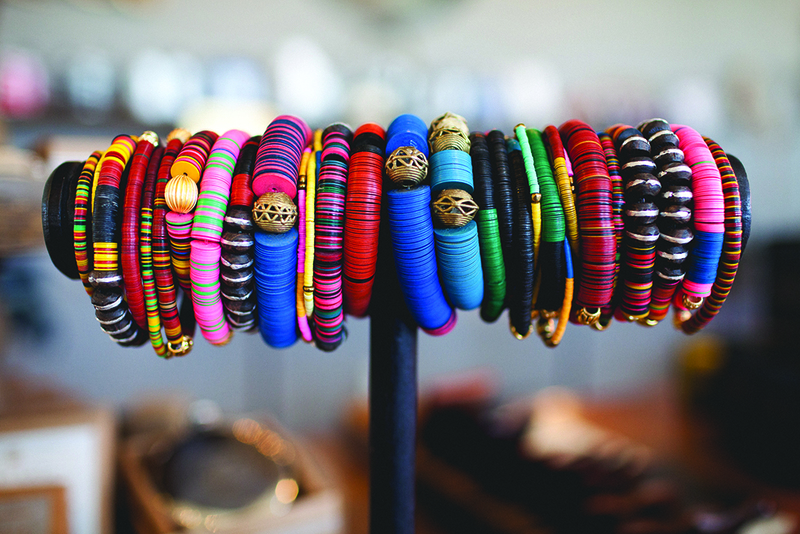 Colorful handmade bracelets catch the eye at Mast. Photo by Purple Nikel. But like many other once-vibrant city centers, downtown Tucson morphed into more of a ghost town as midcentury suburban sprawl became the new standard. Despite decades of attempts at revitalization, Tucson’s core was still a no-man’s land when I arrived at the University of Arizona in 2002. I made a trip down there as a judgmental 18-year-old, took note of the wig store, bus station and old hotel that seemed to be the only places doing business, and wrote it off as a lost cause. It wasn’t until after my college years that I ventured back into downtown. 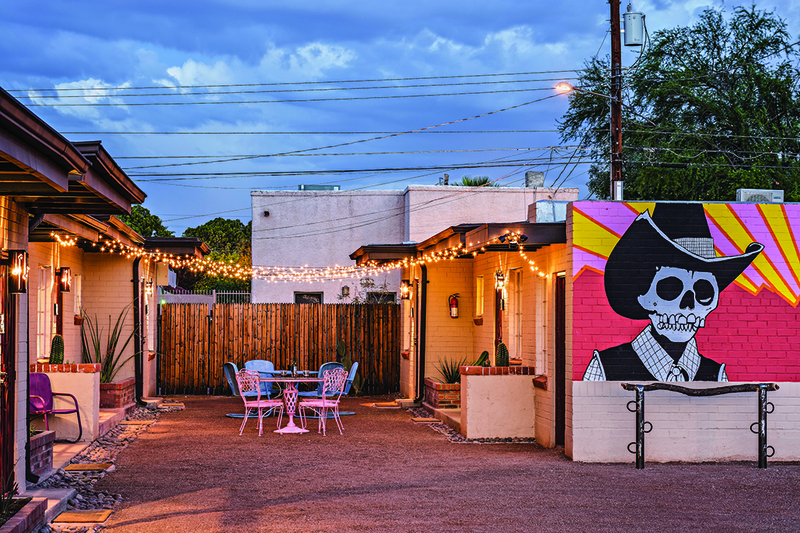 The whole idea of the urban revival has become almost cliché these days, as you can find industrial-chic coffee shops and speakeasy-style bars in every corner of the country, but what has happened in Tucson is nothing short of magic. The old hotel, bus station and wig store are all still there, but the once-empty storefronts and streets have filled with restaurants, shops, bars and people, returning the area to its roots as a vibrant gathering spot for locals and visitors alike. The mother-daughter owned Bon boutique is a new kid on the block in downtown Tucson. Photo by Crystal Flynt. The main drag, Congress Street, is lined with historic buildings that have been brought back to life in all their rustic glory — think massive windows, exposed wood beams and quaint sidewalk patios that give this sleepy college town a decidedly hip feel. A line forms outside of Hub Ice Cream Factory, where waffle cones can be filled with boozy ice cream. Duck around a corner onto one of the side streets and more treasures await, primarily of the culinary variety. Penca Restaurante serves Mexico City fare in a stunning, light-filled space. Three blocks over, in a building crafted with stones harvested from nearby A Mountain in 1906, Reilly Craft Pizza tosses a mean pie, and also offers a door to the Tough Luck Club, a basement mortuary-turned-bar. Infamous bank robber John Dillinger and his gang once hid out at the landmark Hotel Congress, built in 1919. A hotel fire in 1934, and the quick actions of small-town Tucson police and firemen, resulted in Dillinger’s arrest. Photo courtesy Hotel Congress. But at the heart of it all for me (and many Tucsonans) has always been the Hotel Congress. Built in 1919, the hotel has weathered Prohibition, a fire, a mobster’s arrest, the Great Recession and, now, the neighborhood’s resurgence. While most hotels are homes for tourists, Congress is a local’s playground. The massive patio is home to live music almost every night, the Cup Café serves the best baked eggs I’ve ever had, and Club Congress is a nightly party. When we lived in Tucson, we’d often run into former Congresswoman Gabrielle Giffords in the lobby, having a cup of coffee and perusing the newspaper. After turning 21, I quickly became a regular at the Tap Room, a small bar nestled between the hotel lobby and the nightclub, where 83-year-old Tom “Tiger” Ziegler has tended bar since 1959. While the rest of downtown sees huge waves of change, Congress is a comforting constant. And that change has come in droves since my husband and I left the Old Pueblo, as the city is affectionately nicknamed, in 2011. 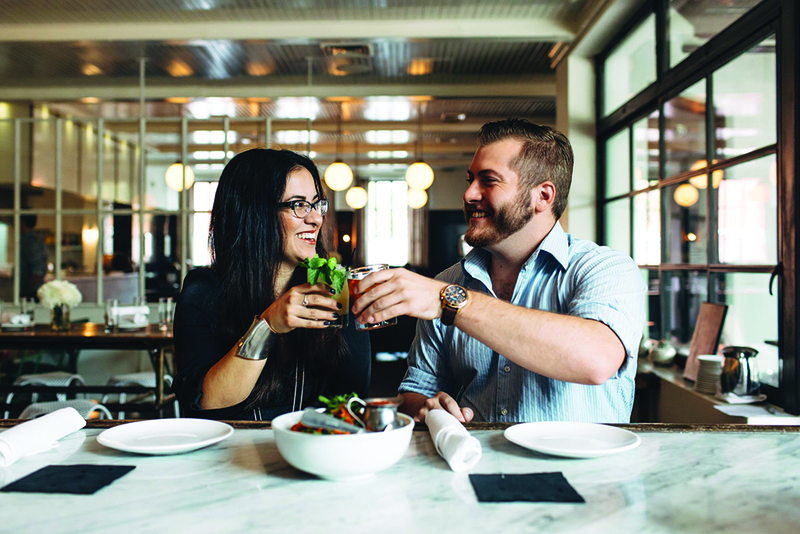 While the pull to explore all of our old stomping grounds is strong, we make a pact to try out as many of downtown’s new spots as we can. I text a friend for lunch recommendations, and her reply is convincing: “5 Points Market and Restaurant!! !” The restaurant is full of exposed brick and windows, and I’m happy with the choice before we eat. 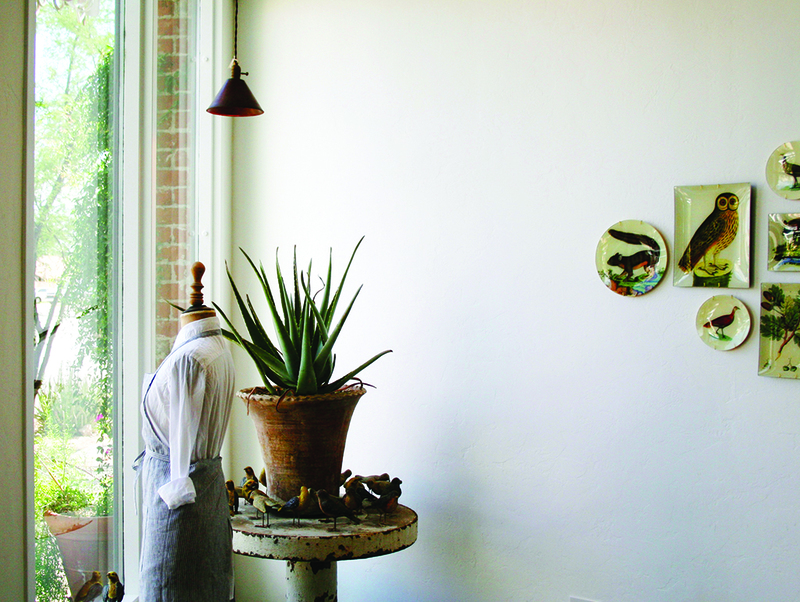 The Downtown Clifton Hotel feels like staying at a friend’s stylish Southwestern home. Photo courtesy The Downtown Clifton Hotel. “I really don’t think we want to be the next Portland or the next Austin,” Lane says. “We like just being Tucson.” And she’s right — Tucson’s coolness is far from forced. Part of what’s so unique about downtown’s resurgence is its organic nature. A lot of the businesses are run by Tucson natives, people who grew tired of waiting for a certain restaurant, bar or shop to exist in their town, so they opened it themselves. 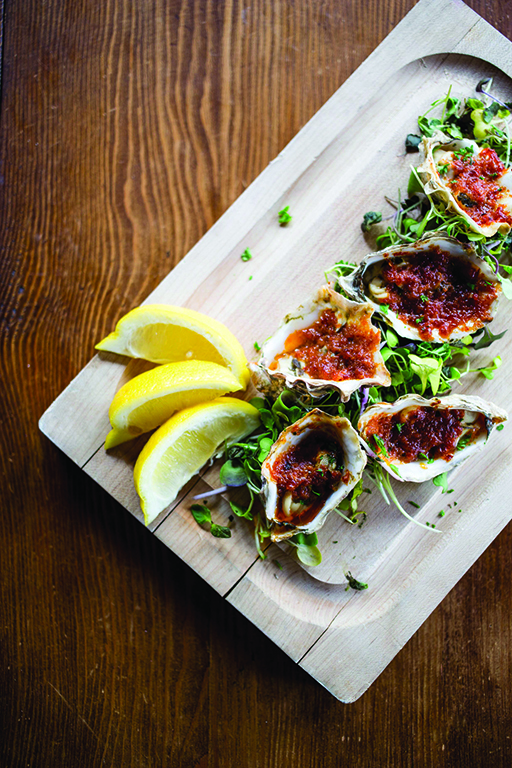 Agustin Kitchen is just one of the latest additions to downtown Tucson’s burgeoning food scene. Photo by Gabriel Flores. Sally Kane is one of those people. Growing up in the Tucson restaurant world (her dad owned the now-defunct Tack Room, which was once awarded AAA’s Five Diamond rating), she’d long intended to open a spot of her own in her hometown. Her restaurants, Agustin Kitchen and The Coronet, are reminiscent of larger cities, but manage to maintain a distinctly Tucson vibe — there’s no stuffiness in sight in either place. “Tucson is the anti-hipster’s hipster town,” Kane says with a laugh. “Of course,” I say, as I join in on his daydream of moving back. “Maybe I’ll even pierce my nose again.” We laugh, knowing that with a baby on the way and our mid-30s on the horizon, our hipper days are behind us. But at least the chance to relive them for a weekend is just a short drive away.